The Sacred Portion Children's Outreach partnered with Rehoboth Sampaloc Ministries in the construction of an orphanage in the mountainous area of Sampaloc, several hours from Manila. This project in the Philippines is a direct response to the many Filipino children who are living impoverished and in poor health, without the care of a family. At the time that we first made contact with Bob and Barbara Morriss of Asian Hope Missionary Outreach in February 1998, they had been working tirelessly for 9 years to raise the needed funds in their home country of Australia. The buildings were partially finished and Bob and Barbara had been making trips several times a year to advance along the construction as funds became available. Struck by the patience and perseverance of this couple in their 60's to see their God inspired dream and vision through to completion, we felt compelled to get on board with this project. We envisioned our involvement including fund raising on the U.S. side. Generous contributions were forthcoming to the Sacred Portion Children's Outreach, enough to bring the construction of the Rehoboth Children's Home to completion. We desired to provide more than financial assistance. During the construction phase of the Rehoboth Children's Home, we took work teams from our community to the Philippines to assist with the actual construction of the Children's Homes. These work teams consisted of people ranging in age from 19 to 50+ years from different walks of life and church backgrounds. While much was accomplished by the work teams in aiding along the construction, going on a work mission such as this is so much more than building a building. Friendships were built with the Filipino people that will last a lifetime and bonds were developed between team members as they worked side by side. Each person who participated on a work team would attest that their experience of spending time in another culture was invaluable and that the changes wrought within each of them could not have happened on their home shore. The Rehoboth Children's Homes officially opened and began receiving children in July, 2003. The Home is now fully operational, serving 48 children from 0 to 8 years old. The children are being cared for in a family atmosphere, receiving love, nurture and individual attention from their caregivers. A full time social worker has been employed who works diligently on the paperwork process to clear for adoption those children who have been abandoned or legally surrendered by their birth parents. To date, the Rehoboth Children's Home has cared for a total of 179 children. 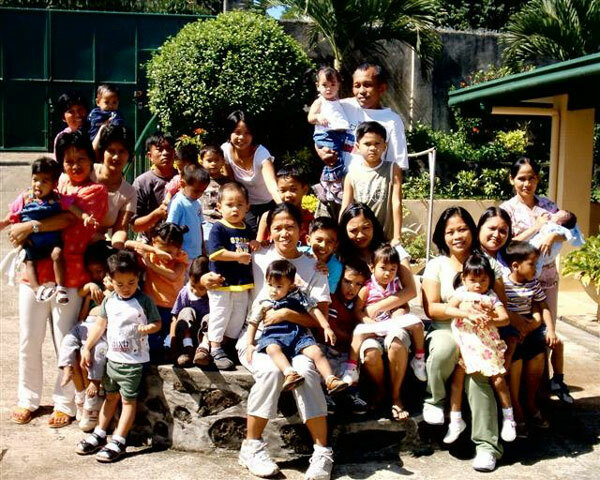 Over 90 of those children have been placed for adoption within the Philippines and internationally. A total of 41 children have been reunited with their birth families following intervention.